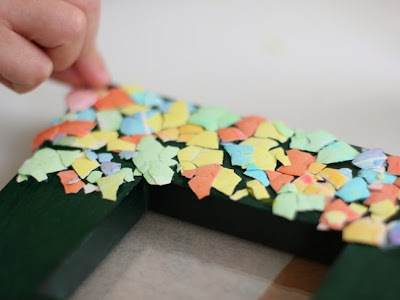 eggshell mosaic is beautiful, but it's takes time and a lot of patience. what makes an eggshell mosaic pattern attractive it's accesibility. as you can have stunning results without any special skills. you can decorate a variety of object with this techniques, any surface from wood to metal, from cardboard to glass. 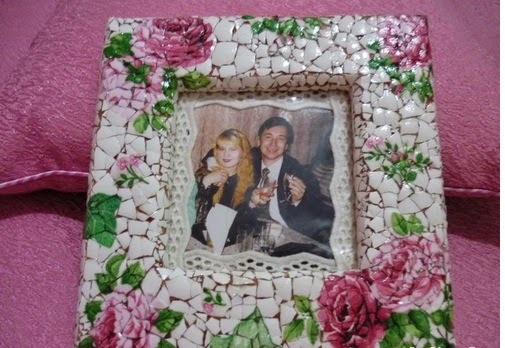 or you can decorate vase, plates, pictures frames, table top. you can also turn ordinary things into unique works of art. 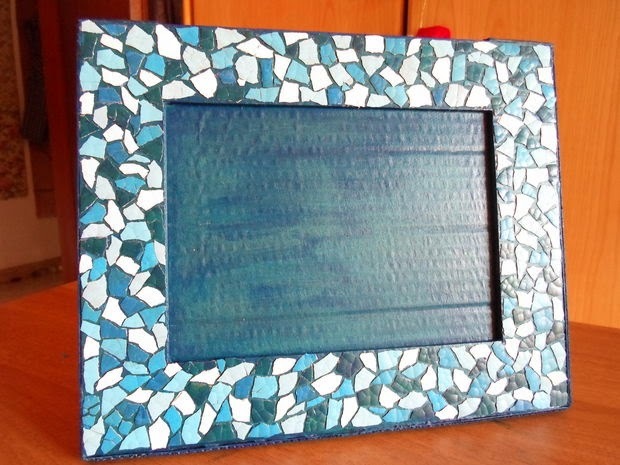 to make these eggshell mosaic frame you just need a picture frame, eggshell, white glue, scissor, brush, flower napkins or any pattern you like and acrylic lacquer. first of all clean and dry eggshell then apply eggshell to photo frame with glue, cut the napkin and pick the pattern layer, put to desired location. after that diluted white glue with water, half and half, gently brush drawing from center and edge. 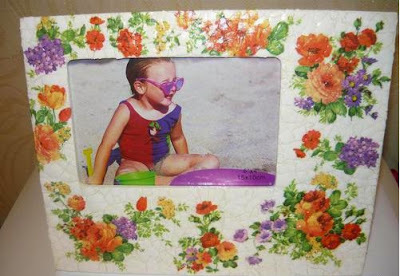 let the frame dry, then paint with acrylic lacquer or pva glue and dried.